Event Time: No time set / Event Location: Khoo Kongsi, Lebuh Cannon, 10450 George Town, Penang. 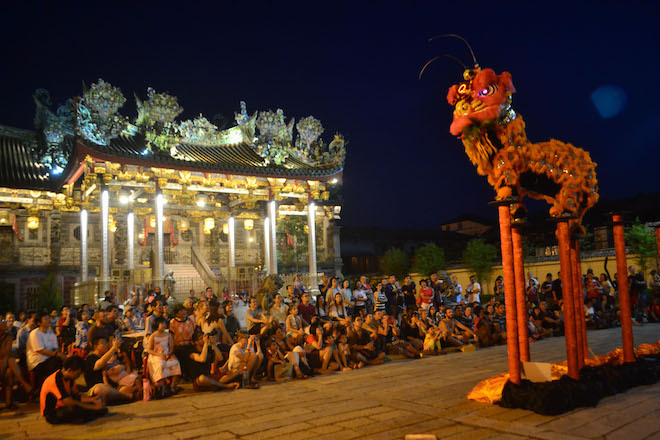 An Evening of Lights at Khoo Kongsi is when lights at the Khoo Kongsi are turned on at its courtyard to showcase interesting Chinese arts and cultural performances once a month. It is a spectacular sight to behold! Amid the excitements, there’ll also be stalls selling handmade knick-knacks and mouth-watering Penang street food!